For the very first time, Fullriver Europe will be exhibiting at the Emergency Fleet Exhibition, one of the largest emergency service fleet events in Europe. The exhibition, held in Telford (UK) on the 12th & 13th of June, focuses on transport for Ambulance, Fire/Rescue & Police. On display will be a comprehensive range of vehicles and equipment for this specialized market. When failure is not an option, our DC & HC Series are a reliable energy source. 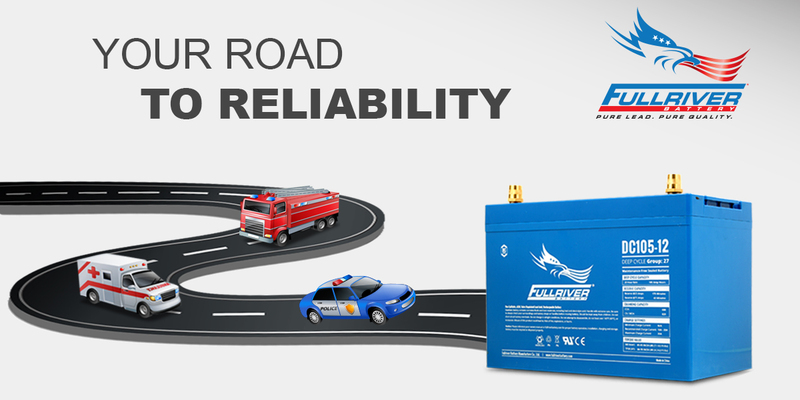 You get a high-quality, high-capacity and long lasting battery ideally suited for a demanding application like the ‘Blue Light’ market.